Alex Wolff plays a child prodigy who goes to college at age 13 in the new comedy “HairBrained.” He and his brother Nat formed the Naked Brothers band when he was 10, and they starred in a movie and television series based loosely on their lives as kid musicians. Now 16, he talked to me about working with his brother and his mother and what he learned from his “HairBrained” co-star Brendan Fraser. 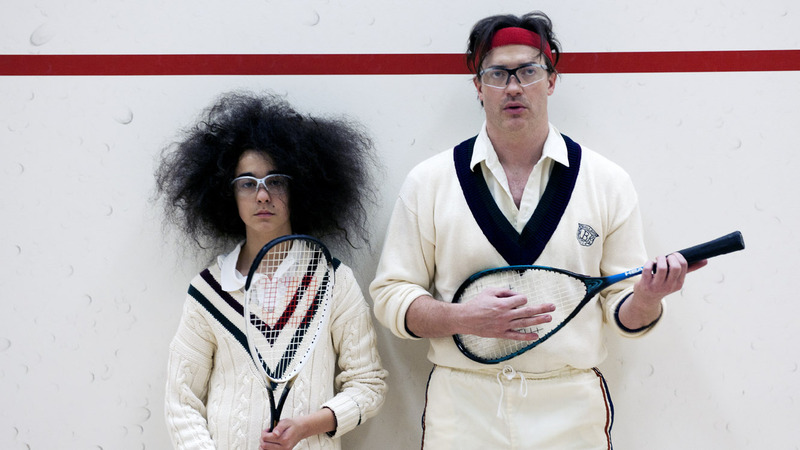 But of course we had to begin by talking about the enormous puff of hair that gives the movie its title. Come on, how much of that hair was yours? I’m sorry to rain on the parade. I did let my hair grow for an entire year. My classmates kept asking why I had a village on my head. I had giant, giant hair. It was pretty crazy. But they did add extensions. So it was a lot of real and a lot of extensions. The most hilarious part about shooting the movie was I kept forgetting that I had it. I didn’t feel it after a while. I would go into the bathroom and wash my hands and look up at the mirror and start dying laughing because I forgot I had it. If I had noticed it, I would have been attracted. 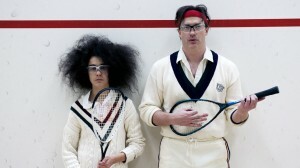 I think the movie works because it doesn’t draw too much attention to the hair. About halfway through, you just accept it and forget about it. You’re a musician and an actor. What is the difference between preparing for a musical performance and an acting performance? In a music performance, it’s my brother and me, we’re ourselves. No matter where we are, what songs we’re doing, what the set looks like, we have the same rituals backstage. We put our thumbs together and say “One heart.” We have all these little ritual we do before the gig, and that’s going to happen forever. But in acting, it’s a different character every time, so every preparation is different. Because it’s a specific character, I have to prepare in a specific way. 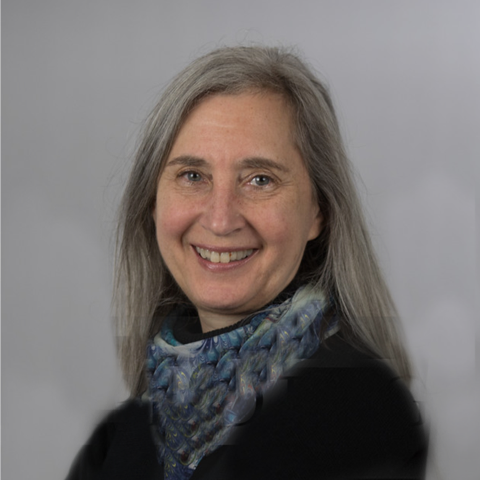 Your mother, Polly Draper, appeared as an actor on “Thirtysomething” and created your Naked Brothers movie and television series. Have you learned a lot from her? The cool part of watching my mom as director, writer, and producer gave me all the training I needed for producing, writing, directing, and acting the short films I have done. She comes on the sets of the movies I do and gives me notes and I honestly don’t know what I would do without her. And I have learned a bunch from my brother, Nat. I watch him all the time because I think he is one of the best actors around. If you’ve seen “Stuck in Love” or “Admission,” you know what I’m talking about. I’m not biased! I honestly think that when I see him in movies, he’s a movie star. I always look to see what he’s doing. And people like Ben Kingsley, Kodi Smit-McPhee, Katie Chang , and Parker Posey and Brendan Fraser — that’s the cool part of being an actor. You get to experience all these other actors around you, see what their processes are and help me cultivate my own. In this film, you play a kid who acts much older than his age and your character bonds with a character who acts much younger than his age, played by Brendan Fraser. What did you learn from him? Yes, the tables are kind of turned for those characters. That’s what’s fun about the movie. He’s so funny and energetic and nice to everyone, even everyone on the crew. That’s something you don’t see with many movie stars. He was extremely nice to every single person. That’s something I admire so much and it really reaffirmed my doing that as well. He showed us that to be a real artist you have to treat every single person like they’re the star of the movie. That was awesome. Your character keeps a lot inside. Is that a challenge for an actor? I related to the anger that he carried around. There’s a certain sarcasm and he always has some remark that can outsmart anyone and he uses it as a defense. But I am very external, so sometimes it would get to be too much when there was a lot going on around me to stay in character and I would have to just go in a room and be by myself for a second. I couldn’t be as 100 percent social as I would normally have been on the set because I was in that character. I had to be quiet and angry but also make myself vulnerable. I was trying to do a lot of different stuff — I hope it comes across. Your character is a trivia champion — how are you at trivia? At movie trivia I’d be pretty good, but I would not have known any of those questions. They were one of the most hilarious parts of the movie. What movies will you never see on an airplane? Airplane movies! The last thing they want you to think about up in the sky is the risk of disaster. But airplanes are a perfect setting for movies, providing the unities of time and place that have been the foundation of drama from the ancient Greeks to the classics of “locked room” mysteries. A random group of people come together in a confined space and for the time of the flight no one can enter or leave. And being up in the sky is inherently scary. If anything goes wrong, it can be deadly. 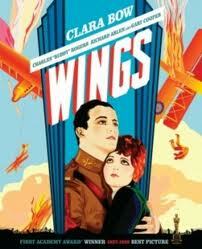 The very first Best Picture Oscar winner was “Wings,” barely past the first days of commercial air travel. The early days of movies and the early days of manned flight were made for each other. There were more air battles in WWI movies than actually happened in WWI. The first Fred Astaire and Ginger Rogers movie, “Flying Down to Rio,” had dance numbers on the wings of planes. Just recently, the Denzel Washington film Flight had one of the scariest plane crash sequences ever filmed, and the wild and very raunchy comedy I’m So Excited! took place on a plane, also with some musical numbers. There are a lot of movies with airplane scenes, but these are some of the best films that take place almost entirely in a plane. The High and the Mighty If there’s a problem with the plane, it’s good to have John Wayne in the cockpit. Air Force One Harrison Ford is the President of the United States, flying back home from a meeting in Russia, when the plane is taken over by terrorist Gary Oldman. Snakes on a Plane The reception for this film suffered from backlash to the hype, but it is actually a lot of fun. Red Eye At first, the hotel manager played by Rachel McAdams thinks the cute guy in the next seat (Cillian Murphy) is flirting with her. But then it turns out that her father is being held by his henchmen so that he can pressure her to help him in an assassination plot. Con Air This ridiculously entertaining film has Nicolas Cage on a prisoner transport plane taking high-risk, extra-dangerous criminals (played by an outstanding cast including John Malkovich and Steve Buscemi) to a new facility. When they say its security system is foolproof, you know things are going to go wrong. 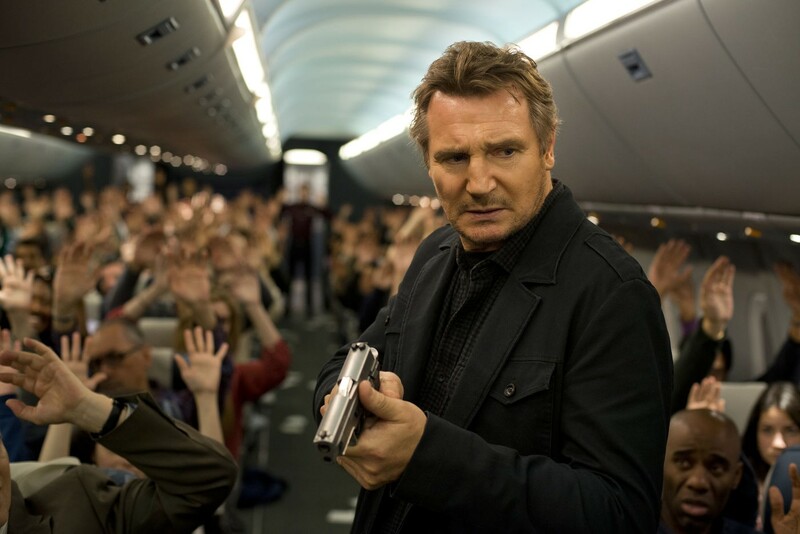 Neeson plays Bill Marks, an ex-cop-turned air marshall with issues. We meet him in the airport parking lot, taking a drink, arguing with his boss, and looking seedy and shaky. Outside the airport taking a last smoke, he is distracted, not hearing a request for a light, and inside the airport he is curt with other travelers. Once on board the plane to London, he admits to his seatmate, Jen (Julianne Moore), that he is very tense during take-off, but fine once the plane is in the air. Once they air airborne, he goes into the lavatory and puts duct tape on the smoke detector so he can have another cigarette. Back in his seat, he receives a text on the secure federal network. It says that if $150 million is not transferred to a bank account, every twenty minutes someone on the plane will die. The sender seems to know all about him. Bill has to figure out if the threat is real and who it is coming from. Thankfully, the movie avoids the obvious “if you don’t know why that well-known actor is in this movie, he’s the bad guy” syndrome. There’s a lot of bench strength in the “that guy looks familiar” non-star supporting cast, with outstanding character performers and up-and-coming actors like Scoot McNairy (“12 Years a Slave,” “Argo”), Corey Stoll (“Midnight in Paris,” “House of Cards”), Nate Parker (“Arbitrage”), Michelle Dockery (“Downton Abbey”), Luptia Nyong’o (“12 Years a Slave”), Linus Roache (“Law and Order: SVU”), and Omar Metwally (“Harry’s Law”). Every one of them takes the unforgiving material of the storyline further than it could possibly be expected to go, most of them giving us reasons to doubt/believe/doubt/believe whatever they are saying so nicely that they almost make it possible for us to ignore the increasingly dumber twists of what I will loosely refer to as the plot. They make the shifting alliances hold our interest even as the storyline veers out of control. The twists and turns of the who-dun-it and what-did-he-or-she-do-and-how are not as dumb as the decision to have Marks, for example, stop in the middle of a dire, every-second-counts moment to tell everyone on the plan a sad story about why he is so tortured. And then there’s the moment when the cabin loses air pressure just in time to float a gun into Marks’ hand. 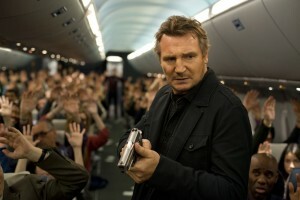 An airplane movie should take advantage of its locked-room setting and inherent danger. But this one seems to miss the point. Constricted space and the limits on getting dangerous materials through the TSA checkpoint should make the fight scenes more interesting, but they are unimaginatively staged by director Jaume Collet-Serra. Marks’ instability is another limitation should also add an additional layer of uncertainty, but it is handled so inconsistently that it breaks the tension. Finally, so much is piled into the last fifteen minutes that it feels like an unsuccessful attempt to get us to forget how little sense it makes. We don’t ask for much from movies like this but the minimum is that you should get all the way to the car before you start saying, “Wait a minute….” This one depends on such a pile-up of preposterousness that even these actors can’t land it safely. Parents should know that this movie’s themes concern terrorism and hijacking, fights, guns, bomb, intense peril. Some characters are injured and killed, and the movie includes a sexual situation, brief strong language including gay slur, drugs, and alcohol abuse. Family discussion: What was the villain’s real motive? If you suspected the wrong person, how did the movie mislead you? 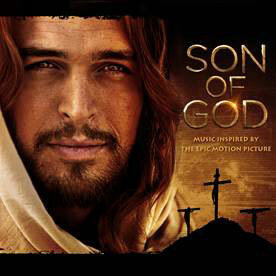 “Son of God,” re-cut and expanded from the popular miniseries produced by Roma Downey and Mark Burnett, “The Bible,” tells the story of Jesus from birth to crucifixion and resurrection in a thoughtful, reverent, and dignified manner. This is a movie made by believers for believers. It expects viewers to be familiar enough with the story to fill in some of the gaps and devout enough to assume the significance of each moment. It tells the story in a westernized, conventional manner that can seem superficial at times, more a cinematic Sunday School lesson than a movie. It is unlikely to persuade anyone, but it is undeniably moving and many believers will find it inspiring. The movie also reflects its source with some odd re-cuts and deletions. Those who are not familiar with the details of the Gospels may have trouble understanding who some of the characters are and how they fit in. The death of John the Baptist is mentioned briefly without making it clear what his contribution was and how he died. Roma Downey has explained that they chose to literally cut the devil out of the story, in part as a result of some claims that the actor cast in the role for the television version bore a resemblance to President Obama. But that means eliminating a key element of the story, the Garden of Gethsemane, which is an important part of understanding the way Jesus saw his role and his sacrifice. This is an accessible version of the story, but it is also a simplified one. Parents should know that the New Testament storyline includes illness, bigotry, and graphic and disturbing images of torture, abuse, and crucifixion. Family discussion: How does this differ from other versions of the story? What was Jesus’ most important statement and why?